Dr Yogesh Jain has an MD in Paediatrics from the All India Institute of Medical Sciences, New Delhi where he also served as a faculty member for a few years, but is a public health physician in practice. 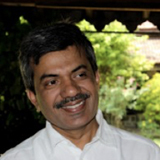 He has been primarily involved in " primary health care’- through founding and running a community health programme – Jan Swasthya Sahyog (People’s Health Support Group) in rural Bilaspur in central India with like- minded health professionals since 1999. People from over 2500 of the most marginalised villages that are home to the indigenous people access these services for their major health care needs. Dr Yogesh has been involved in addressing the issues ‒ be they technical, operational, economic or political ‒ that determine healthcare for the rural poor through clinical care, careful documentation, observational research studies, developing appropriate health- related technology, training, and lobbying, all based on continual learning from this community health programme. Issues of access, cost and quality in healthcare have occupied most of his time, whether it is developing a blueprint for Universal healthcare in India, or addressing specific control programmes for tuberculosis, malaria, leprosy, chronic diseases that include the NCDs, childhood infections and technical aspects of women’s health. Observing health and illnesses through the lens of hunger and extreme poverty, he has been a strong believer in the continued role of the state as the primary provider of social services and also that unbridled privatisation is not the way forward in the unequal world in which we live. Advocacy based on this lived experience at the provincial, national and international forums to highlight the burden and causes of illnesses among the poorest in the world has been the way forward for him.